3. 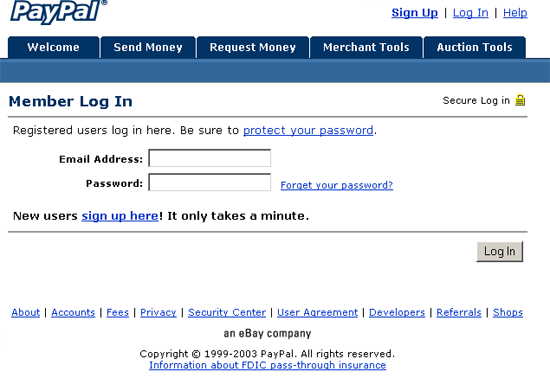 URL disguised as text "Click here to secure your account". 4. Website traced to Taiwan.
" 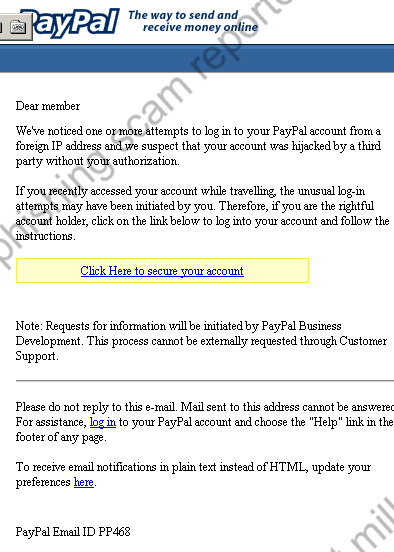 Dear member, we've noticed one or more attempts to log into your PayPal account"